Product prices and availability are accurate as of 2019-04-23 03:53:49 UTC and are subject to change. Any price and availability information displayed on http://www.amazon.com/ at the time of purchase will apply to the purchase of this product. No longer are you bound by the rigid constraints of hard plastic! 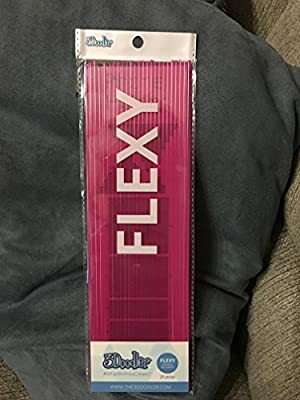 Our FLEXY line you can now squeeze, stretch, and twist your creations providing a truly dynamic Doodling experience. Do you want to take your creativity to new levels? Explore the wide variety of FLEXY plastic refill colors for your 3Doodler Create 3D pen! Flexy Plastics are compatible with the 3Doodler V.1, 2.0, and create 3D printing pens. Available in single & mixed color pack containing 25 strands each, and single colors tubes containing 100 strands.